It was a bit rainy this afternoon so I waited until it was just drizzling a little bit and myself, Ethan, my mum and my dad went for a walk. 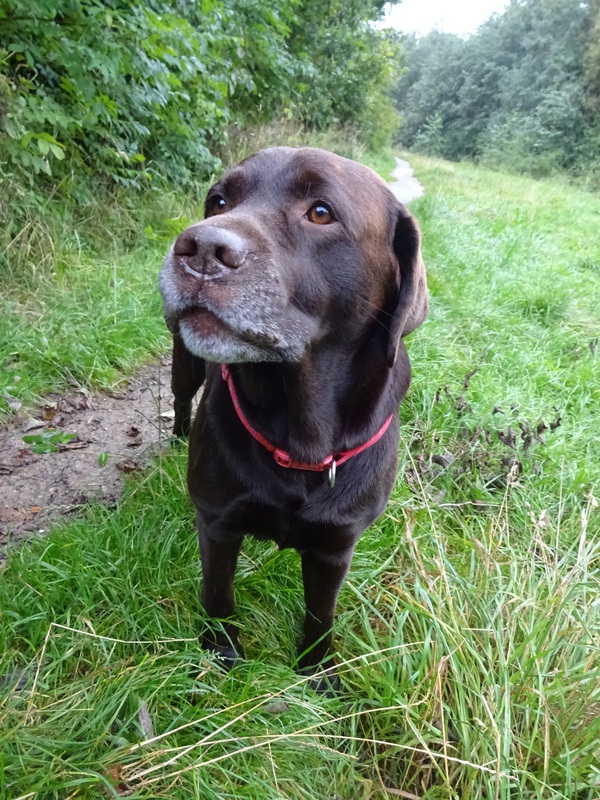 It was pretty quiet about but eventually I spotted a very handsome Chocolate Labrador called Rolo. Rolo is a very friendly boy, myself and Ethan got to give him a fuss! He’s really good with kids, his human have two nieces and he lets them clamber all over him! Favourite food: Rolo isn’t fussy about food, he likes it all but he especially likes sausages! Favourite toy: A Scooby Doo cuddly toy. He likes to chew and cuddle it but he also likes to hump it too! Favourite pastime: Running and swimming!